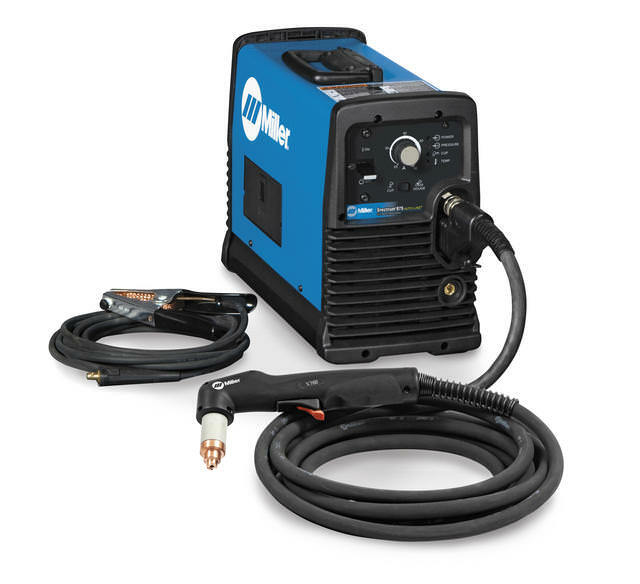 Miller Spectrum® 875 plasma cutter with Auto-Line™ and 50 foot XT60 torch has a compact size but packs 60 amps of cutting power in a plasma cutter with easy operator controls. 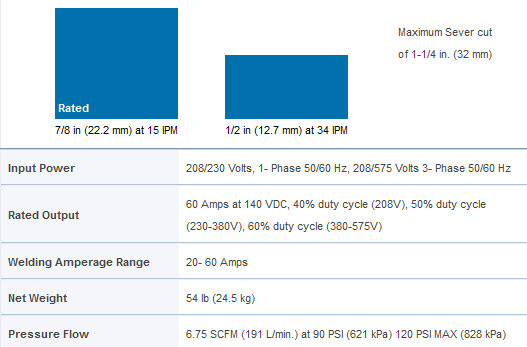 Auto-Line™ feature allows this plasma unit to automatically connect to any primary input voltage from 208 - 575 volts single- or three-phase, 50 or 60 Hz. CNC/Robotic machine interface is standard on Spectrum 875 Auto-Line allowing automated control and rapid changeover to mechanized operation. Is this the newest model that has the ability to cut expanded metal, skipping over the gaps and not having to pull the trigger each time? Miller Spectrum 875 Auto-Line Plasma Cutter w/50 ft. Torch 907584001 features : Auto-Refire Technology provides ultimate customer convenience by automatically controlling the pilot arc when cutting expanded metal or multiple pieces of metal. The pilot arc will switch in and out as fast as needed when cutting expanded metal and provides maximum power for cutting thicker metal - all automatically! No need for manual re-triggering which reduces user hand fatigue. Does the spectrum Auto Line plasma cutter with 50 ft. torch 907584001 come with a 220 power cord and plug?